A female can lay between 50 and 100 eggs at a time. Burmese Pythons can vary in colour from a very dark brown to bright yellow. 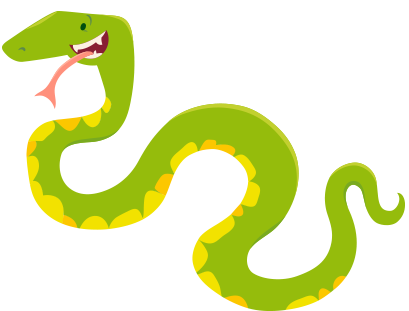 A male is known as a MALE, a female is known as a FEMALE and a baby is known as a SNAKELET. A group is known as a BED/NEST/PIT. Burmese pythons are one of the largest five snakes in the world. They can grow to have a girth as wide as a telegraph pole, a body 23 feet long and weigh over 14 stone. They are a very placid breed of snake though, which is why they are a common breed kept as pets. In the wild they live near water and are excellent swimmers, but they can also be found in trees and undergrowth on marshes. 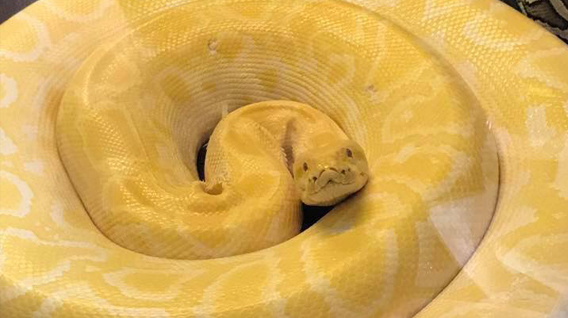 The Burmese Python is a constrictor, which means it squeezes its prey to kill it before swallowing it hole. Pythons can open their mouths extremely wide to do this. 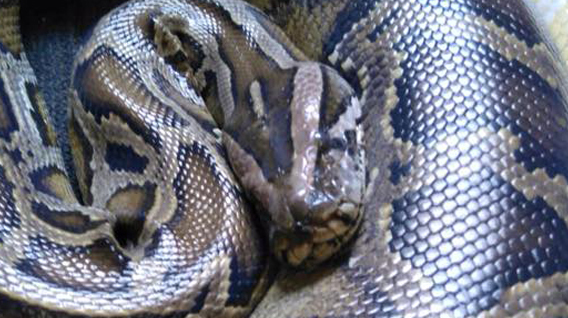 In the wild the Burmese Python is becoming threatened and has been declared as a vulnerable species. This mean conservation work has started to preserve the breed and to try and increase the population. WEIGHT: Depending on length the Burmese Python can weigh up to 200lbs/ 14 stone!